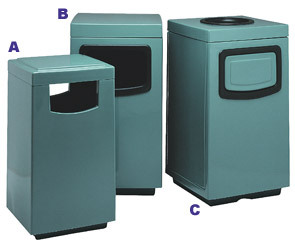 These fiberglass trash receptacles are a best seller great for high volume areas offering convenient access for easy servicing. 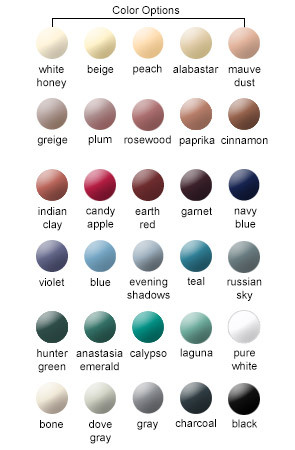 With the large variety of colors options you're sure to match the décor. 24 Gallon Units Feature a Removable Top. 47 Gallon Units Feature a Side Entry Door. Push Door Units Help Contain Odors. Push Door units are available to help keep unwanted odor from emanating as a result of stinky discarded waste, while the Ash/Trash units help encourage and maintain a smokers waste free areas. The fiberglass construction is stain resistant nor will it tarnish. Rigid poly liner is included with all units.